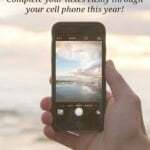 The start of a brand new year – you are probably excited for all the new things to come, you are probably working on your goals for 2014, and you might even be thinking about taxes. Yes, I said it and I hope you didn't forget. Taxes are due in around 3 months. FreeTaxUSA may be a good way for you to file your returns as budget friendly as possible. You are probably wondering who/what FreeTaxUSA even is and why you are reading a FreeTaxUSA review. 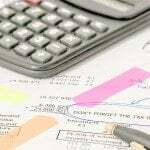 FreeTaxUSA is an online tax preparation website that was founded in 2001. FreeTaxUSA is an original member of the IRS Free File Alliance and the company is also an authorized IRS e-file provider. The company has processed millions (over 9,000,000!) of federal tax returns and they help many taxpayers each year save a good deal of money by not having to pay large fees to tax preparation companies. 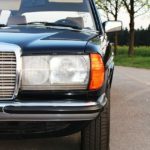 Returning users do not have to pay an extra fee to rollover tax data from the previous year. The pricing structure on the website is easy to understand. Your information is safe on their website. They make sure that everything is private and secure by using the services of Truste, VeriSign, and Security Metrics. You only have to pay when you are ready to e-file or print your return. This means that you can create an account for free on their website and access the software to see what your expected return may be. You can contact their customer support for free. The tax software helps taxpayers find items that you may be missing out on by asking you interview styled questions to help maximize your possible refund and minimize your possible liability. They have 100% free services! Refund Direct Deposit into your designated account. Online Backup of Completed Returns. Deduction & Credit Maximizer so that you can get the most value to you. You can print your tax return. You will receive Instant Status Notification. You get free Account Information Roll-over. 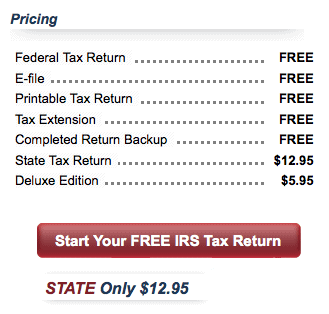 Can a taxpayer file a state return using FreeTaxUSA? The answer to this is YES. You can prepare your state return directly on the website for $12.95. FreeTaxUSA has decided to give 5 readers of mine their Deluxe Product for free. Just leave a comment below and you will be entered into the contest. I will be using Random.org to choose the winner. 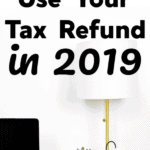 Your comment can be about whether you think you will owe or get a refund this year, how you stay organized with your taxes, or anything else regarding taxes. EDIT: This giveaway is now over. The winners have been contacted. Thanks guys! Please count me in…I’m interested! i’m hoping to get a refund this year! i’m don’t really organize my tax documents throughout the year. i rely heavily on every party sending me all my information via [e/snail] mail. Due to my investments, I typically owe money. However, this year I am doing much more to maximize my deductions so come April 2015, I am hoping to come out about even! I am pretty sure I will owe a little bit in taxes this year. I’ve used Free Tax USA for the past couple years and love the user friendly site! It’s so convenient to have my prior year tax return info saved on their site. This sounds awesome. I’ve used turbotax for the past few years, so this would save a bunch. I’ve used an accountant for taxes the last couple of years, but I’d like to start preparing my own now that things have been “simplified”. I have no idea if we’ll owe or receive a refund this year, I’m still waiting on a bunch of tax forms to be available. I changed my withholding this year so I think I’ll only get a small refund or at least that’s the scenario I’m hoping for. I think I”ll get a refund this year. Thanks for the giveaway! I hope to get a refund this year! Not sure if this giveaway is still open, but I’d love to enter! I end up going through about three tax preparation sites and then trying my husband and I jointly & separately on each. It’s so time consuming and annoying!